FOR THOSE THAT WANT TO LEAD! There are scholars among you who aspire to achieve something even greater than a college degree. They aspire to be leaders. They are Army ROTC Cadets - and you can join them by attending Basic Camp. Basic Camp is the premier leadership program of its kind in the United States. 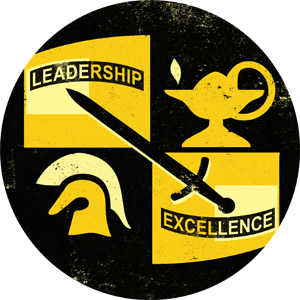 An intense four-week introduction to Army life and leadership training of the Reserve Officers’ Training Corps, the aim of the course is to motivate and qualify Cadets for entry into the Senior ROTC program. Basic Camp, as it's known, is designed for college students, typically between their sophomore and junior years. Upon successful completion of the course, graduates can take part in ROTC at their college as a third-year student in the four-year program. While attending Basic Camp at Fort Knox, Ky., Cadets gain an experience that runs the gamut of Army life and the responsibilities of being an officer. The course instills confidence and decision-making abilities to become a leader, in the Army and in life. Cadets spend their first few days learning Army basics under the tutelage of drill sergeants. They also take their first Army Physical Fitness Test, which consists of sit-ups, push-ups and a two-mile run. Shortly after the course begins, Cadets are introduced to working in a small-group team-based dynamic in activities such as an obstacle course to accomplish set goals.